SET SAIL ON A SHIP OF THE DEAD! 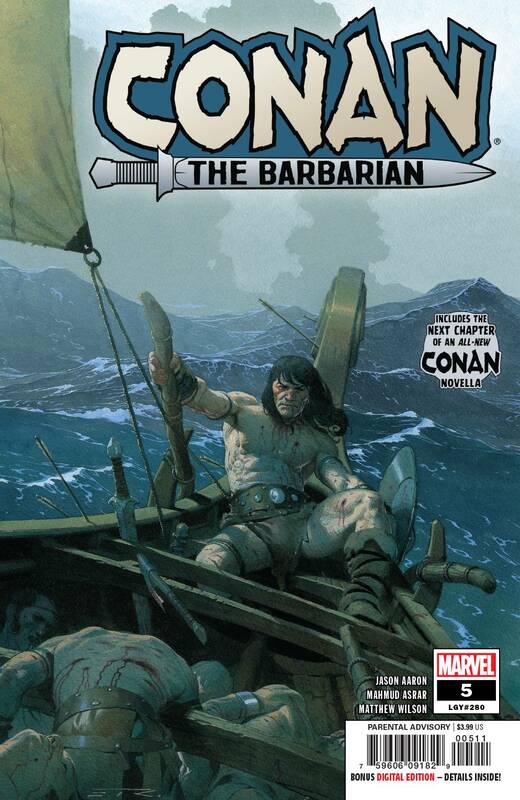 • CONAN leaves the land for the life of a pirate! • How did he survive disaster during the most ominous voyage of his life on a ship surrounded by dead men? • And the CRIMSON WITCH's dark plans for KING CONAN become grimly clear! 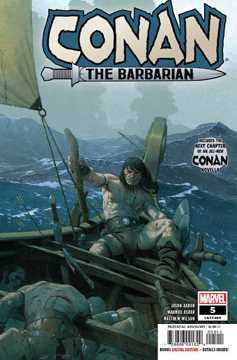 • PLUS: The fifth chapter in the ALL-NEW Conan novella 'BLACK STARLIGHT,' begun in issue #1 of CONAN THE BARBARIAN! Parental Advisory.